Many people around the world today don’t have any access to water; according to WaterAid, a global non-profit, which estimates that as many as 1 in 9 people don’t have any clean water close to their home. 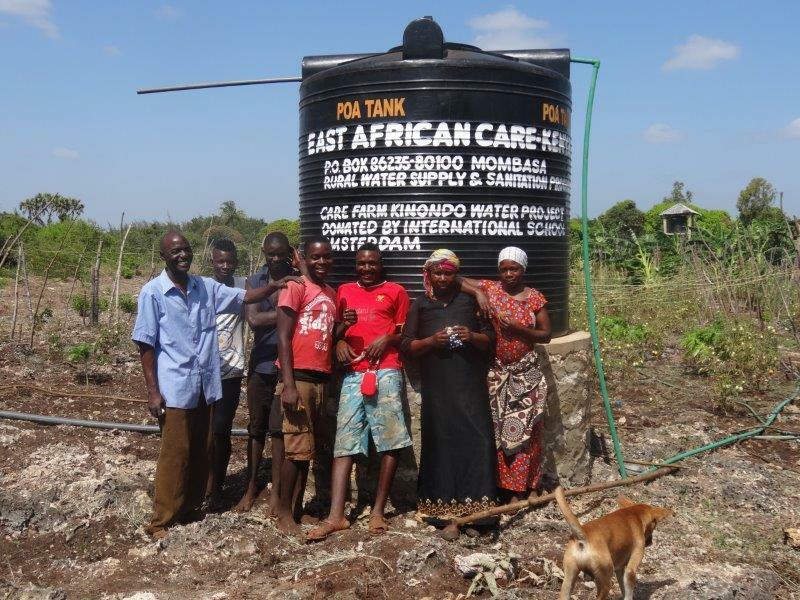 To help to tackle this global problem, ISA has been supporting East African Care (EAC), a charity which tackles water-related issues in Kenya, for a number of years. EAC is a small organisation based in the Netherlands that has been active in the Kwale district of Kenya since 2004. Since they began, with the support of donations from ISA they have built more than 60 wells and latrines for schools and rural communities in an effort to improve access to water and basic sanitation. EAC’s local coordinator, Suleiman Mwakoja, came to talk to Upper School students at the ISA Creativity, Activity and Service (CAS) Fair this past September to underscore the impact that ISA students have and will continue to have, on the lives of local people in Kenya. Having access to clean water has a “knock-on effect which positively impacts every aspect of people’s lives” noted Mwakoja. As well as improving health and sanitation in rural communities, the time saved by women not having to travel to collect water gives them greater access to education, which will improve their financial prospects and will, in turn, benefit Kenya economically. East African Care plans to continue their life-saving work in Kenya, with the help and support of the ISA Community.